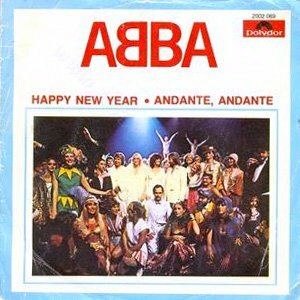 Abba – Happy New Year – Official Music Video. The song was written by group members Benny Andersson and Björn Ulvaeus. The song appears on the Abba’s 1980 album “Super Trouper”. It was released as a single in 1999 reaching number 15 in the singles charts in the Netherlands, #20 in Norway and #27 in Sweden.